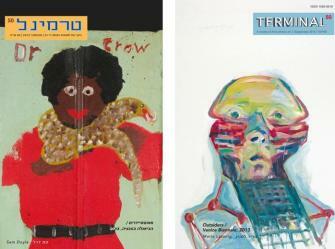 Terminal is a bi-lingual (Hebrew-English) art journal. The first issue was released in January 1996. 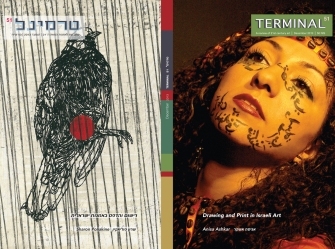 Terminal aims are to provide up-to-date information about art trends and main events in Israel and abroad, exposure of young Israeli artists in the Scene and Artists' Pages sections, a platform for Arab and Palestinian artists in the Borderline section, interviews with curators of international Biennials, and intimate insight into selected local and international artists' studios in the Studio Visit section. In general, the texts appearing in Terminal are not critical, but rather designed to be informative, insightful and to appeal to the reader's curiosity. As a testimonial to the quality of Terminal, it was chosen among 19 leading art journals in an exhibition at the Watari-Um Museum in Tokyo . This alone demonstrates the appeal of Terminal in the global art community. 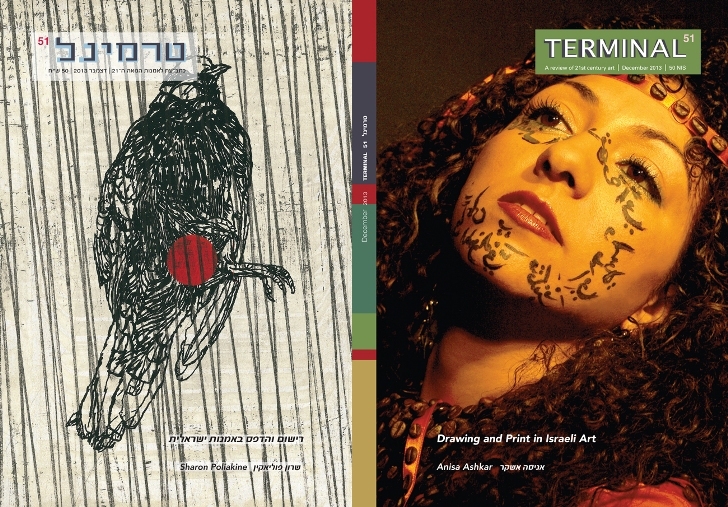 Among the contributors: Galia Bar-Or, the curator of the Ein Harod Art Museum; Dr. Rivkah Rass, Laureate of the Prime Minister's Prize in Literature; Hadas Maor, Curator of Interdisciplinary Art; Ronen Leibman, Senior Lecturer and Head of the Video Art Department in the Bezalel Academy of Art in Jerusalem; Haim Maor, Senior Lecturer and Head of the Curatorship Department at the Ben Gurion University in Beer Sheba; and many others. Rachel Sukman, the Founder and Editor-in-Chief of Terminal, sees in the journal a virtual exhibition space to encourage and promote dialog between Israeli and international art and thus contribute to the global exposure of art created in this region. Terminal is published three times a year. In addition to regular subscribers, the journal is sold to the largest booksellers' network in Israel (Steimatzky) and in the museums shops in Israel and abroad. Among other sites, Terminal is sold in the bookstores of the MOMA New York, On-Sundays Bookstore Watari-Um Museum Tokyo, Tate Modern London , and in many of the libraries of important museums worldwide.